This certificate can be claimed for working Book-holders in 10 different countries (this can include your own country). Contacts are valid on, or after, 1st May 1974. 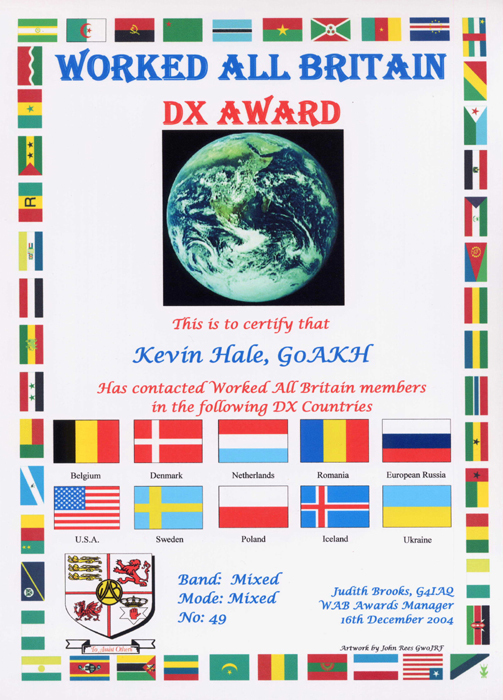 Each certificate will show the flags of the countries worked. You can claim the award as many times as you like, providing each claim shows 10 different countries. The same station may be claimed for each different country they may work from (e.g. a mobile station on holiday travelling throught different countries). Anyone who works a Book-holder in a country we do not have a flag for can have their certificate free of charge!